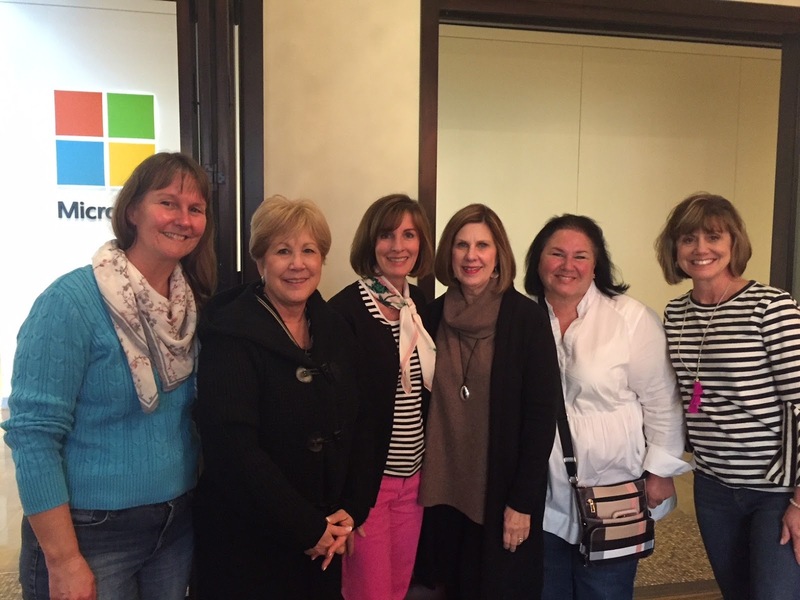 I was happy to meet a group of Texas bloggers yesterday in Dallas. It was a nice bonus to visiting my son and his family. We enjoyed a delightful lunch at Bread Winners in North Park Mall in Dallas. The food was great but meeting bloggers you have known for years through blogging and some for the first time was so much fun. Laura@Decor To Adore and I have know each other for years but neither of us could remember how long ago it was or how we connected. 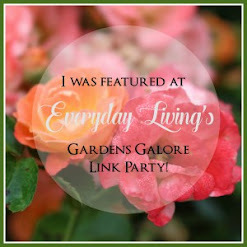 She invited me way back in 2014 to do a guest post on her Friday blog series, "My Favorite Five." I decided to dig that post back up and share it today and my favorite five are still the same now in 2018. I've known Carol@ Blue Sky at Home through tablescape bloghops the last two years and it was great to meet her in person. Stacey @Poofing the Pillows and I have been friends for at least two or three years and we have so much in common. The time passed way too quickly and I could have talked for much longer. Barbara@French Ethereal and Cindy@County Road 407 and I meet for the first time yesterday and I look forward to getting to know them better. I learned so much from these ladies yesterday about blogging and loved getting real hugs from them instead of virtual ones. It was a rewarding day for me. Thank you, girls. The weather was terrible yesterday and there were others that could not make it because of the weather. I was disappointed but hope there will be another opportunity to meet them. We missed you Jemma and Tanna. And....much to my surprise Patti@Pandora's Box emailed me this morning that I won her giveaway of the MC tote! Needless to say, I am thrilled. I am having a great week, ladies! I sure do enjoy all the Traveling Tote Adventures of the Mackensie Child Traveling Totes. Read about how the Traveling Totes began here. Now, I am reposting "My Favorite Five" from four years ago. Have you ever thought about what your favorite things to do are? 1. Photography is a passion of mine, however, I am still a work in progress. Since, I began blogging I have made thousands of pictures. Making family pictures is a large part of my photo cache. I love to record family vacations and photograph nearly all the food we eat, as well as what we do. People other than bloggers think I'm crazy. Since, we are all yearning for spring I immediately thought of this photo. It evokes such happiness for me. 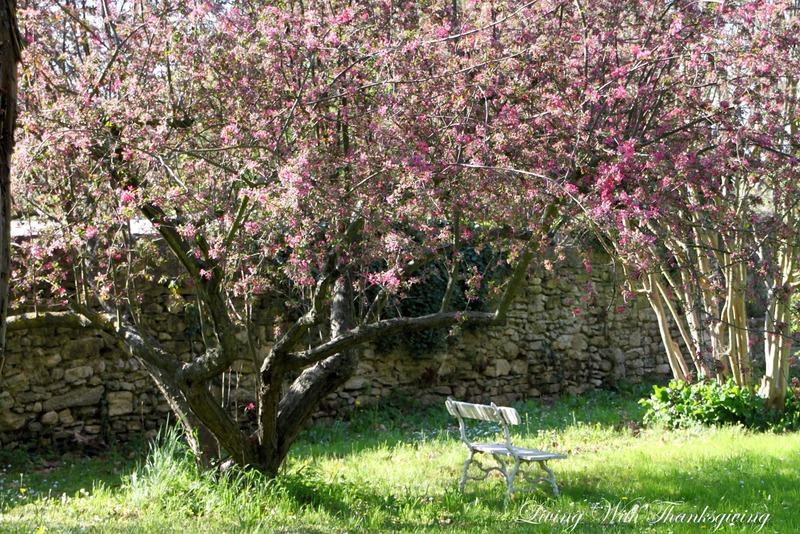 The french faux bois bench and blooming cherry tree cast it's spell on me in St. Rèmy, Provence. Other favorite photography pics are posted here. 2. Traveling: One of the thrills of my life has been the blessing to travel abroad the last few years. There were many pinch me, is this really me, moments. 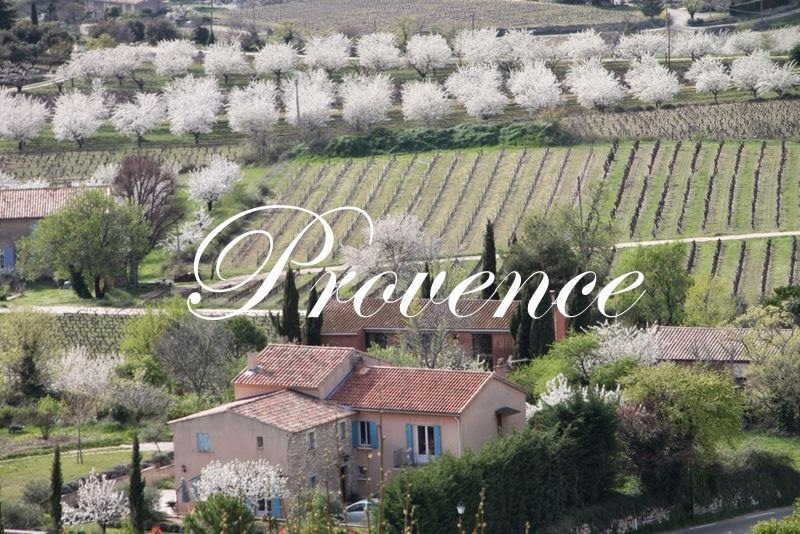 I don't have words to tell you the thrill I felt traveling through France, England and Italy. 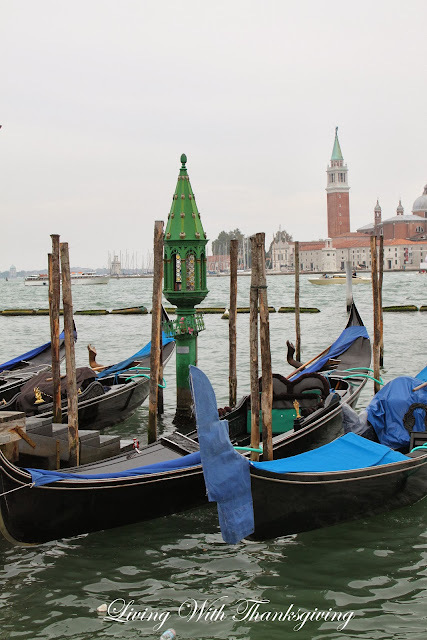 The gondola ride in Venice ( pictured below) was exciting and beyond my expectations. I think of the many beautiful and exciting sights and experiences we enjoyed on our wonderful trips all the time. Thank you dear husband for these beautiful memories. I could go on and on because traveling is quite addicting. You always want to see another place. 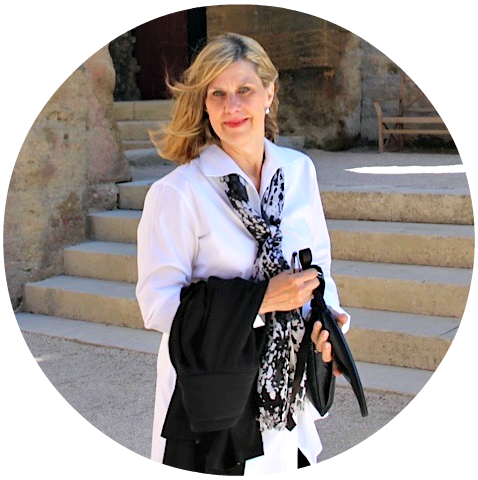 I am hoping to organize my travel posts soon and do blog buttons to make viewing easier. 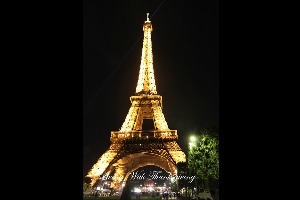 Since, this post was written, my husband and I have traveled to the regions of Burgandy, Dordogne and Bordeaux, France. Also, we cruised along the Rhine River through Germany, The Netherlands, France and Switzerland. We visited El Salvador this October, meeting our sponsored Compassion Child. You can read about that trip here. This spring we are scheduled to cruise the Danube River. Every time I think of each trip I thank God for the opportunity and my husband for taking me to these wonderful places. We love to travel. I intended to blog about each destination but got behind. 3.Tablescaping: My first blog post was a Thanksgiving tablescape which evoked the name of my blog~ Living With Thanksgiving. I love to "play in the dishes" as I've heard it called. Again, it is hard to pick a favorite. It would be fun to see which tablescape you would pick. Thinking spring, I will share this one, and the entire blog post can be viewed here. 4. Gardening: I enjoy gardening and it has brought me great joy and satisfaction. My garden is primarily a shade garden dictated by my location. I love all flowers but hydrangeas and camellias are high on my list. I enjoy being in a local garden club and was glad to have the opportunity to complete the master gardener course a few years back. This is my hydrangea garden below. Under gardening in my navigation bar other gardening posts can be viewed. 5. Flower Arranging: I have so many vases I am running out of room to store them all. Selecting just the right vase and arranging flowers is therapy for me. A recent post, Flower Arranging is Therapy is a roundup of a variety of flower arrangements I have done. It is a delight to cut flowers from your garden and fashion an arrangement to enjoy in your home. When you have a vision for something and it turns out well, it is very satisfying. I get my love of flowers from my mother and remember fondly how every flower thrilled her. 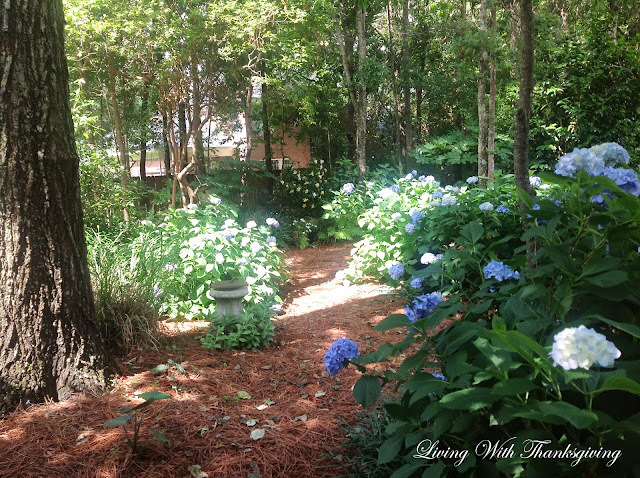 My hydrangea garden can be viewed here. I hope you enjoyed reminiscing with me today as well as seeing the great Texas girls I met yesterday. And, I am still amazed I won the Traveling Totes giveaway! Oh Bonnie, it was like being on Romper Room when that photo came up, looking through the magic mirror -- I see Stacey and Laura and Carol... fun to see you, Barbara and Cindy, none of whom I've met in person but since I follow you and Barbara, I need to check out Cindy, too! I love your favorite five and look forward to your travel tab. 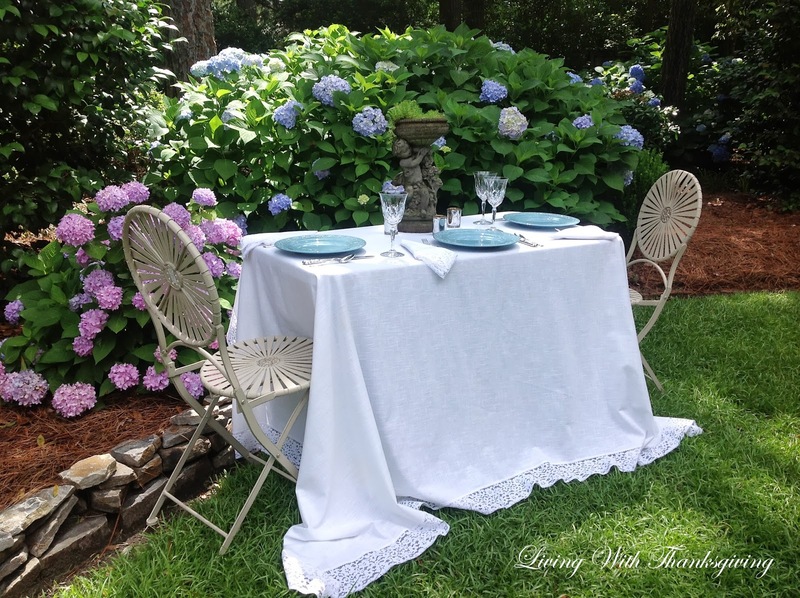 Your gardens and tablescapes always inspire me! What fun and great joy! Bonnie, congrats on being the winner of the tote! How fun to meet so many bloggers at one time, y’all are a cute bunch! I don’t remember this post so I am so glad to read it. These five are some of my favorite also. 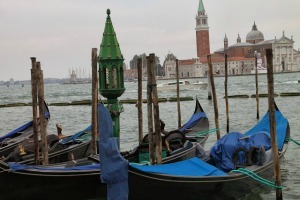 I love that photo of Venice, it is still one of the most romantic cities! 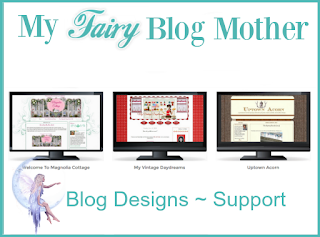 I so wish I lived closer or had family opportunities to visit clusters of bloggers like this! What a fun time that must've been. Loved this series with Laura, too, Bonnie. Yours is still inspiring! And yes, the what a way to end your week with the tote win. It's fabulous! You just have so much fun with your blogging.. I love your favorite 5. Isn't it exciting to meet bloggers in person? I have been so lucky to meet a few, too! Enjoy your tote and i look forward to reading about your future travels! The Texas bloggers you met are such a wonderful group I was sad to miss the lunch due to the horrible weather. Your Venice photo is stunning and your hydrangea garden is to die for! Oh, how I wish I had a hydrangea garden that fantastic. What a fun day you had, Bonnie, meeting up with the Texas girls! Congratulations in winning the tote. I know you'll put it to good use. Bonnie, how fun that you got to meet up with so many Texas gals. Hubby and I are headed that way on Thursday. You have so many talents. Always love your garden! Also, congrats on the win. Thanks for sharing with SYC. I know a couple of the ladies you met, and I think you're so lucky that you got to meet them. How much fun! I also enjoyed reading about your favorite five. We have a lot in common because we love some of the same things. Congrats on winning the adorable tote! YAY! 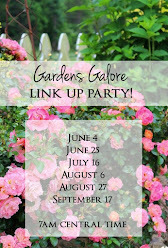 Imagine my surprise when I was linking up with Dishing It and Digging It today and there we all were from last week's Lone Star Sisters bloggers' get-together! Hello Bonnie, it was SO nice meeting you last week!!! Thank you for taking the photograph, too. A treasured memory... Like you and the Texas ladies, I do enjoy capturing my family on film and what we do on a regular basis, plus blogging about it all. Kindred spirits!!! It was good to meet you in person and visit with you. I hope you had a great rest of your time visiting your grands and family here. Happily pinned a number of your photos to my boards on Pinterest. I love your hydrangea garden! I'm trying to grow just one little hydrangea and it looks like it survived the 8 degree weather we had and the hard freezes we have had this winter. I see little green shoots just coming out from under the wood chips protecting its roots. I am so sorry to have missed this gathering. All of you Ladies are so inspiring, uplifting and kind. I hope you'll be back soon when the weather has finally calmed down and I can meet you then. Bonnie, what a great post. I love seeing the different bloggers. how fortunate you are to meet up with so many. Congrats on winning the tote bag. I am sure you will have plenty of use for it in your travels. Bonnie you are so lucky to have won the MC tote! It is so pretty with its great design and texture! I am sure you will have plenty of fun with it. Wish I could meet up with so many bloggers! What a delight to get to see them in person and get to know them. I am sure you gals had lots to share and I do wish I could have joined you. Our interests do parallel one another. That must be why I am drawn to you.